Just over a month ago, I was there, at Tele2 Arena in Stockholm, at the last kent concert ever. It was an emotional evening to say the least, kent has been with me since my early teens. They have been like a constant friend, always there, through good times and bad. I know that many other kent fans feels the same way, I’ve heard countless stories of how their music has helped people through some pretty rough times, so it was a very strange feeling walking into the arena to see them one last time. Knowing that this would be the end. Almost like a combination of a party and a funeral. I know that it probably doesn’t make sense to some people, but that was the way it felt. For me, this has provided a backdrop to 2016, ever since they announced their farewell tour and last album back in March. At least they gave their fans some much needed time to prepare. The last album, Då Som Nu För Alltid, met my expectations. Not their best in my opinion, but still the sound of a band on top of its game. You have to respect them for saying goodbye while still relevant, not waiting until the creativity is all gone and they’ve put out a number of bad records… That would definitely have been worse. But somehow I always knew that this was the way it would happen, it is very kent. Always in complete control of everything, down to the smallest detail. 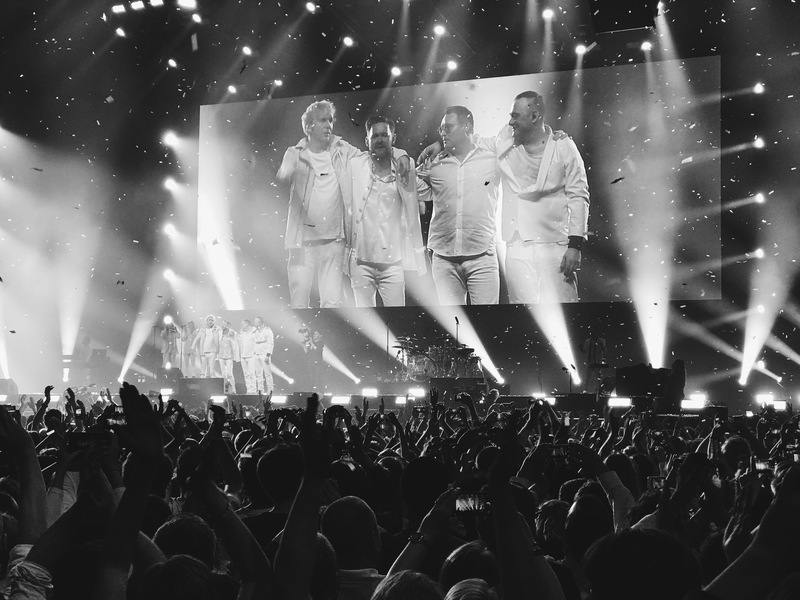 Apart from the final show in Stockholm we also went to their gig in Copenhagen (which had to be rescheduled due to illness, so we made two trips to Copenhagen…). If I still lived in Sweden, I’m sure I would have gone to even more gigs, but I’m really happy that I got tickets to these two shows. Especially the last one. Being kent, they refused to simply play the hits and instead focused on the songs from the latest album. As this was the last tour, people were always going to have opinions on the setlist. I mean, I would be happy to only hear the old stuff! I was actually a bit surprised that they left out some songs… Still, I don’t think they’ve ever been this good live, and I’ve seen them a lot of times (actually lost count). Awesome visuals as well, the backdrop consisted of huge, razor sharp LED screens that projected beautiful videos to each song. In many ways, it was the perfect ending and I feel privileged to have been there.